Pakalert Press » Major Physicians Group Implores Exemption From Smart Meters – Are You On the List? Major Physicians Group Implores Exemption From Smart Meters – Are You On the List? Are you on the doctors’ list of people who should be exempt from Smart Meters? In the last couple years, paying electricity residents have witnessed a startling use of force regarding installation of Smart Meters. This is after complaining to Public Utility Commissions about legitimate and serious health problems that were absent before the installations. More alarming, is that doctors’ notices on behalf of their patients are completely dismissed. One doctor implored help from a commission that the situation wouldn’t be so urgent if patients had the ability to choose another company or have the ability to opt-out (of something they never asked for or actually protested in the first place). But, tables are turning as awareness grows and doctors, researchers, and activists are joining forces to resist the Smart Meter invasion. The prestigious American Academy of Environmental Medicine (AAEM) has just issued a report emphasizing that patients with any of myriad health issues be accommodated to avoid not only having Smart Meters installed on their own properties, but to be accommodated also for their neighbors’ Smart Meters. The report asks for doctors to recognize EMF/RF exposure in their patients, the cumulative effects, and especially the effects of Smart Grid technology. The other many symptoms include those relating to neurological impairment (including anything from dizziness to Alzheimer’s, Parkinson’s, ALS, and much more), pulmonary (including chest tightness), muscular (including spasms), gastrointestinal, pain, skin issues, sinuses, lungs (even shortness of breath), dental, sleep, ADHD, tremors, visual disruption, liver, genetic defects, fetal abnormalities, depression, cancer, and more. Pregnant women and the elderly are also indicated as those who should avoid EMF/RF exposure. Chances are – you should be exempt from being anywhere near Smart Meters! And your electric company should remove your neighbors’ meters to accommodate you. This report is adding more weight to the side of those fighting for their health. 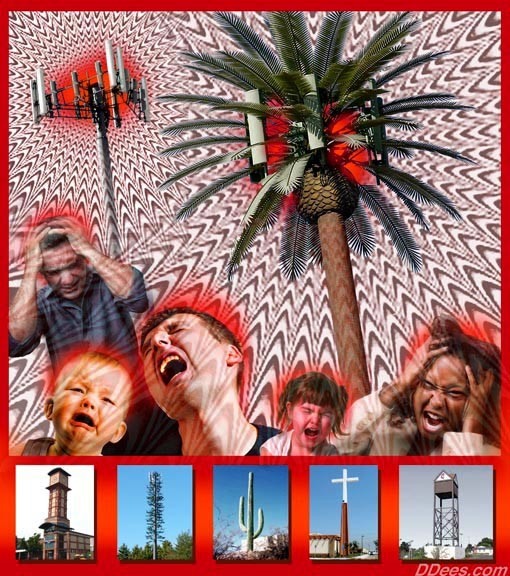 There are also studies on DNA damage caused by low frequency EMFs. By now it should be official: no one should be subjected to dangerous Smart Meters. Especially if there were ever a shadow of a doubt. Just last week, renown speaker on EMF and health, Dr. David Carpenter, and 40 other international experts refuted a May 24th letter by some engineers, physicists, and chemists trying to assuage public fears about EMF/RF radiation with “real science.” The rebuttal is jammed packed with cited studies regarding health, and schools the engineers on science and the human body. It is a must read and emphasizes the damage Smart Grid exposure can have on children. These doctors wiped the floor with them! Another notable change of heart: the leader of Canada’s Green Party and Parliament Member, Elizabeth May, 180’ed her stance on EMF and health last year and even withstood a lot of flak. What’s more, electric companies like PG&E have been fully aware of the dangerous health effects of EMF for 20 years! Back then the phrase of the day was “childhood leukemia,” legitimately traced to overexposure to EMF through power lines. So, PG&E issued a brochure actually warning people to keep their distance from electric appliances to minimize the chance of EMF-related cancer. Do you think they warn their patrons today about the same appliances when it comes to RF exposure even after thousands of health complaints roll in? Here is their stance today. Pulling again from the anti-Smart Meter info handout above: “Keep this in mind… there has NEVER been any studies done by our federal or state governments to look at the health safety aspect of smart meter technology.” You may notice PG&E’s method of cherry-picking data and words, and using only one report quoting the FCC. Coincidentally, just one day before the AAEM report, PBS aired a pro-Smart Grid piece that was more reminiscent of a shameless infomercial for both the Public Utilities Commission and Agenda 21. It focuses on the benefit of centralizing as an essential measure to restore power during storms so people aren’t left to melt in the heat like they were during recent Texas storms. Not everyone in Texas is sold, of course. A small group of people opposed to smart meters was scheduled to hold a march in Austin today to make that clear. Next week, we will report on some of the objections, including health risks and privacy considerations. Actually, the march was a sizable gathering of people vying for a hearing regarding health concerns in response to a petition created by popular journalist and activist Devvy Kidd. Just as before, they have been repeatedly ignored and deferred over stupid technicalities. Smart Meters have been installed all over Texas by “silent force” with no one’s consent. They are not being taken seriously, and it will be interesting to see if PBS treats activist arguments with respect on the 20th. There really does appear to be an unbending Technocracy at work, that disregards safety and choice, and yet forces more payment from the grieving peasants. When private corporations would stomp on their paying customers’ wishes, even slowly killing them, one could surmise that the orders are from on high – at this time it would appear that consumer rights are the casualty of the sub-goals of Agenda 21 – initiated with bribe money to the federal government, partially forwarded to the State and PUCs, complete with irresistible payouts to the major utility corporations. Dozens of Genetically Modified Babies Already Born – How Will They Alter Human Species? Smart meters or transmitting utility meters are also used for gas and water, not just electric. Important thing to watch out for. Out Town’s are meters pulse from everyone’s basement every 5 seconds. People are fighting in Madison WI for opt outs from water meters. Gas utilities also use them.